Party People has enjoyed working with the Lake Gibson Prom committee for years taking their theme and vision and transforming ballrooms into Magical Prom Memories! This years prom was held at the Omni Champions Gate. 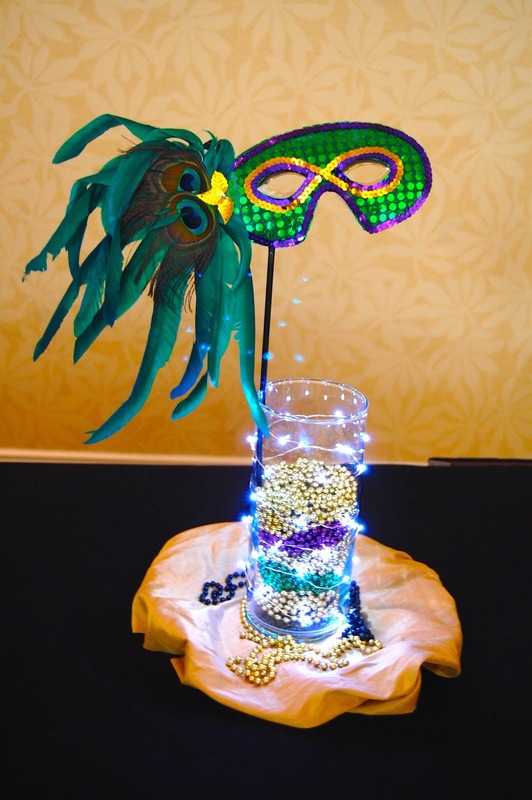 Elegant Masquerade centerpiece for Registration table greet the students as they arrive at Prom. Lighted Centerpieces with Mask and beads continue the theme. 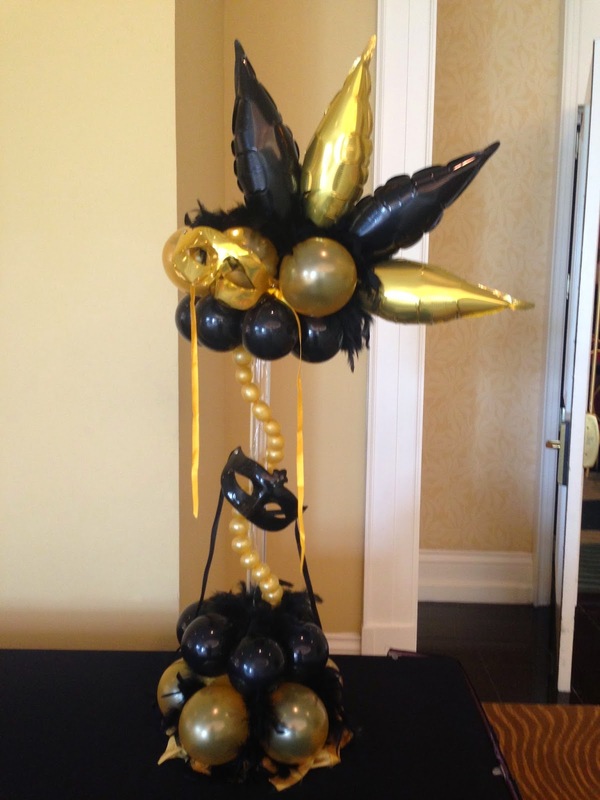 As the students enter the Ballroom they walk under a Custom mask sculpture. Lovely gold and Black Pipe and drape by Party People Accent the stage for the DJ. 4 balloon lamp post will illuminate during Prom around the dance floor with our remote control lighting. Dance floor Balloon lamps are accented with foil mask to continue the theme. Our battery powered lighting create an elegant glow throughout the prom. Party People has a team of designers to create Elegant events. Services include Event Planning, Theme Design, Custom Balloon Decor, Fabric Decor and Centerpieces. 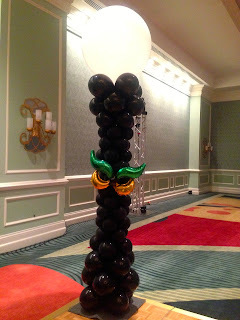 To have Party People Create custom decor for your Prom or special event call (800) 752-3650 ext 2!